16 x 16 x 5"
Ektoskeletal Torso - snakeroots 2011 porcelain 14 x 12 x 4"
Ektoskeletal Torso - lg.cactus 2011 porcelain 17 x 13 x 5"
Ektoskeletal Torso- lg. 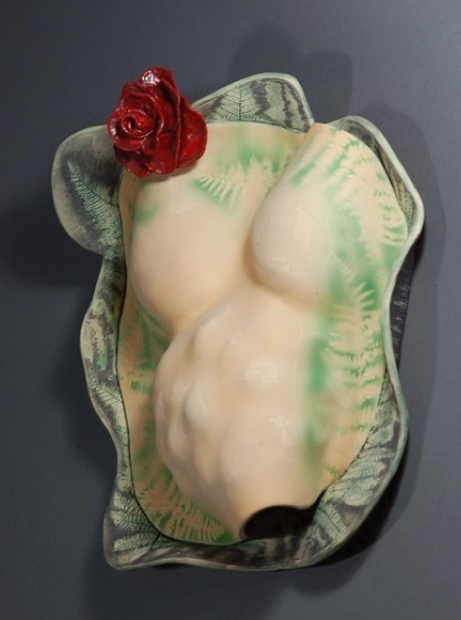 open heart w.roses 2011 porcelain 18 x 12 x 6"
Painted Torso - ferns w.rose 2012 stoneware 17 x 15 x 5"
in 2010, while retrospectively considering my forty year long journey of artmaking, I realized my focus would be threefold: return, synthesis, and essence. My return, was to sculpture for three years and to my native New York, in autumn 2011, for an artist residency on a fellowship at Women’s Studio Workshop. My intent being to synthesize the mediums, themes and images that have pervaded my lifetime of making art, to get to the essence, to the skin and bones of my vision, both literally and figuratively. 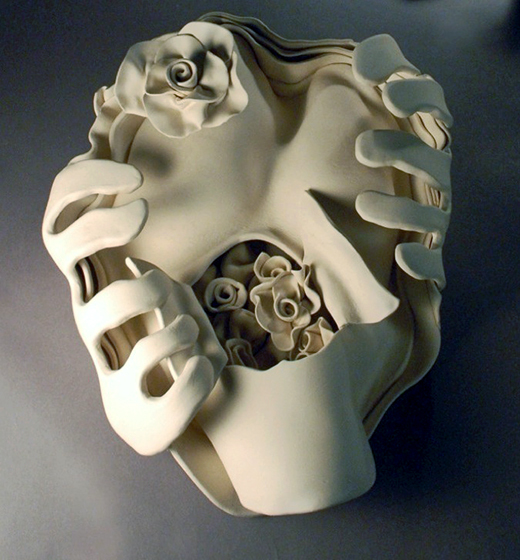 Thus, at the residency, I created white porcelain bonelike "Ektoskeletal Torsos," which developed into painted torsos in 2012. Painted Torso - lg. 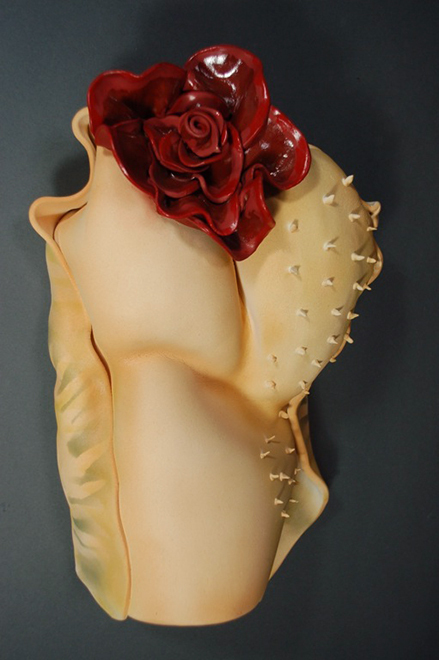 rose, cactus 2012 stoneware 15 x 11 x 5"